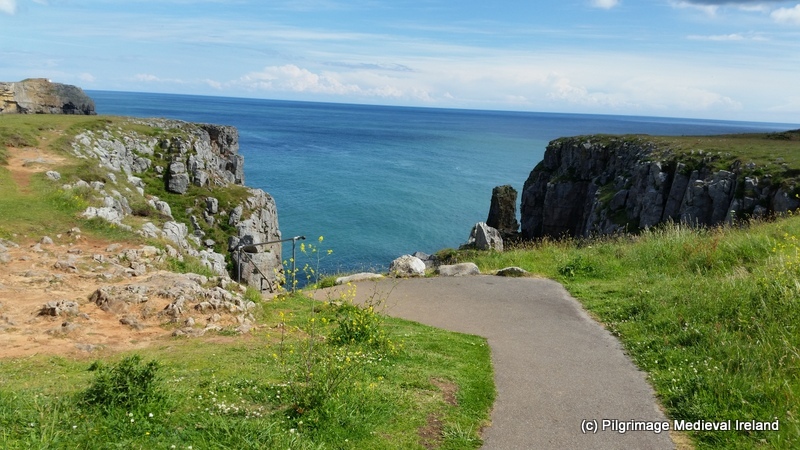 A few weeks ago I had a fantastic holiday exploring parts of Wales and England. 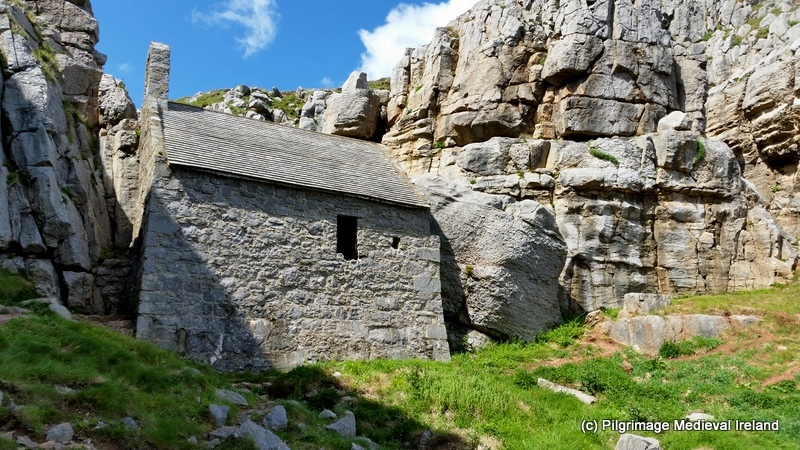 One of the most amazing places I visited was a tiny medieval chapel called St Govan’s chapel in Pembrokshire, Wales. St Govan’s chapel is located at the base of a cliff, a short distance from the village of Bosherston. The site has an Irish connection as Govan is supposedly an Irish saint. The present chapel dates to c. the 13th century and it may have been built on an earlier structure. 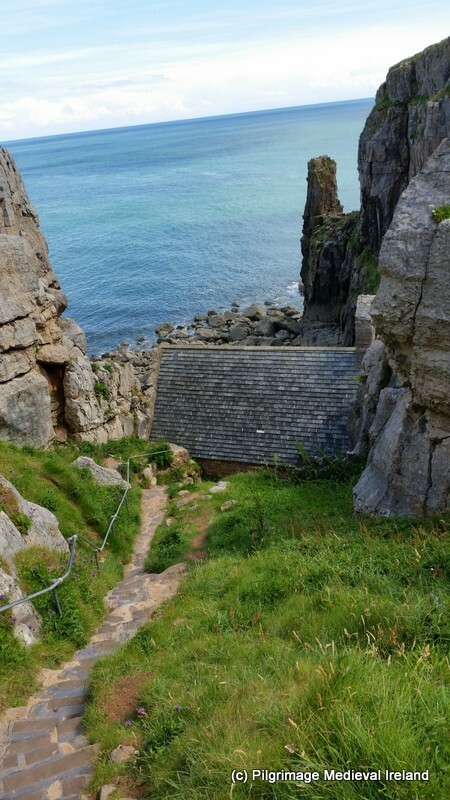 The chapel can be accessed from the top of the cliff by climbing down a series of steep steps. 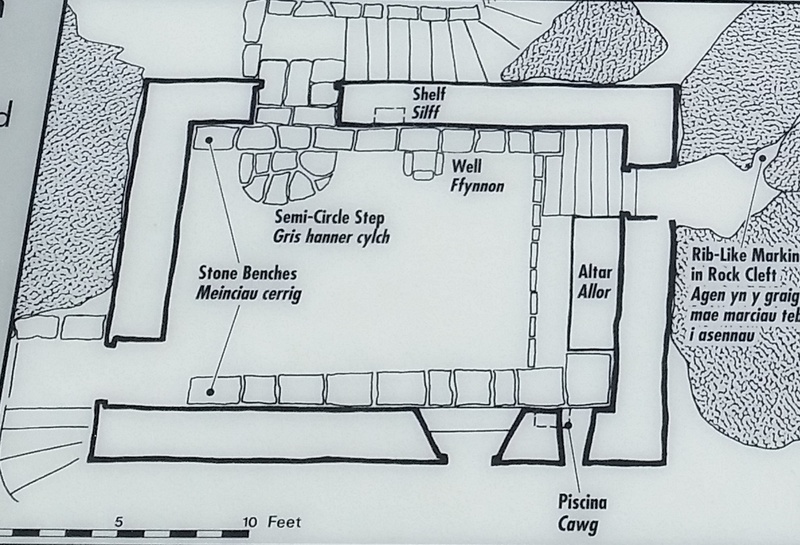 The church is a small single single cell room built into a rock cleft and it has a vaulted ceiling. 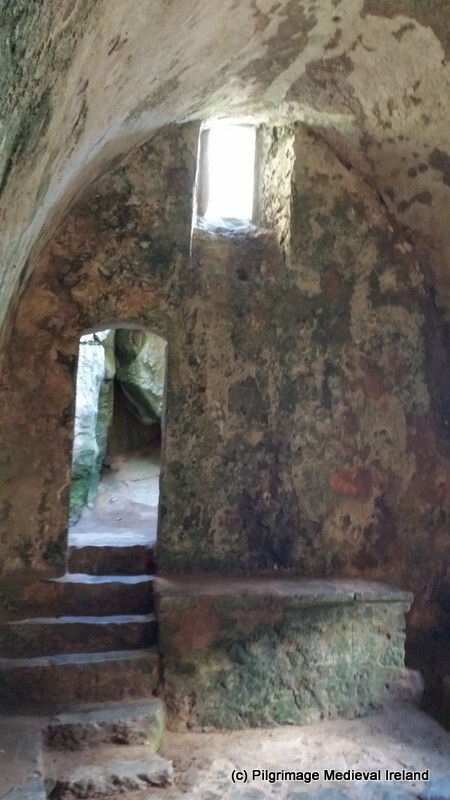 A stone altar is built against the west wall and a number of steps lead into a small recess in the cliff face . Folk tradition says the marks of the saints ribs are visible on the rock face (see plan church below). 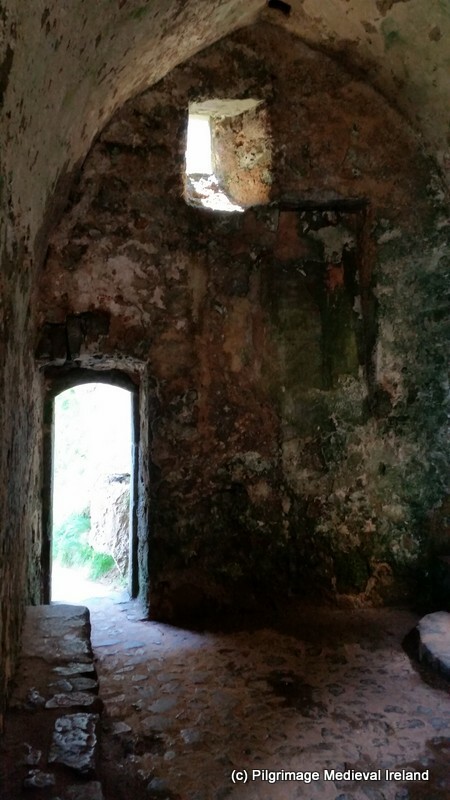 The interior of the church is very plain, in the south wall there is a piscina and a window. View out of window of the south wall. Traces of plaster remain on the north wall. 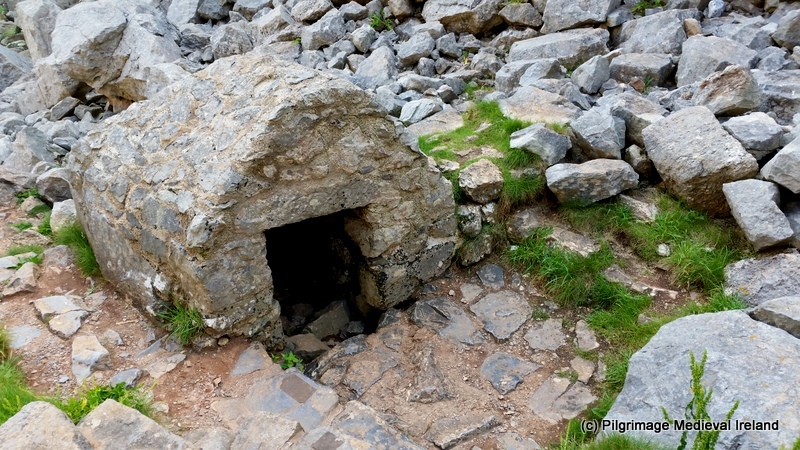 Tradition holds that an Irish monk called St Govan founded a hermitage here in the 6th century. While sailing across the sea he was attacked by pirates. During his escape the cliff opened up enough for him to hide until the pirates left. In gratitude, he decided stay here and live as hermit. 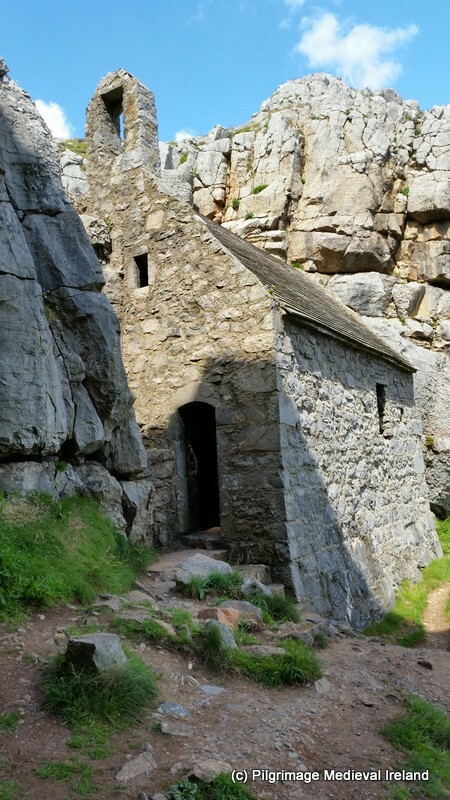 St Govan lived within a small cave in the cliff. The current church is thought to be built over the cave and the saint’s body is reputedly buried under the altar. The chapel floor once had a holy well which has dried up. Below the church are the remains of a second holy well also dedicated to the saint. The spring is now dry. In the past pilgrims visited the site as the waters of the wells were reputed to cure eye complaints. 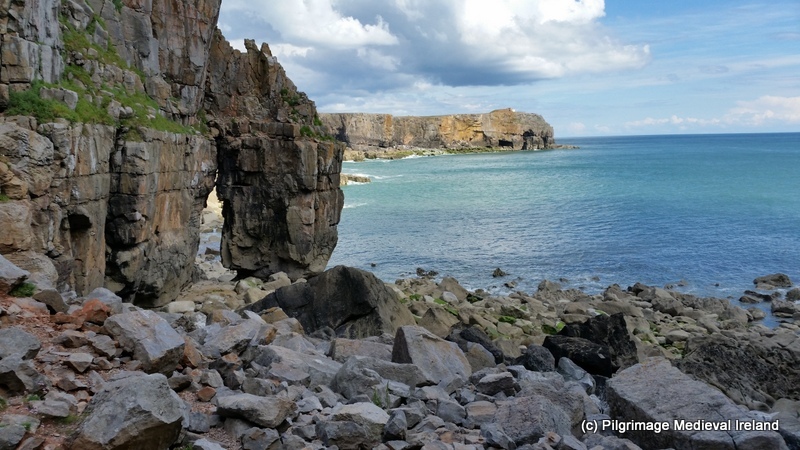 The location of St Govan’s chapel is amazing and there are spectacular views of the sea and coastline. I really recommend a visit it is a truly special place and I know you wont be disappointed as this site has really got a “whow factor” that you dont find too often. 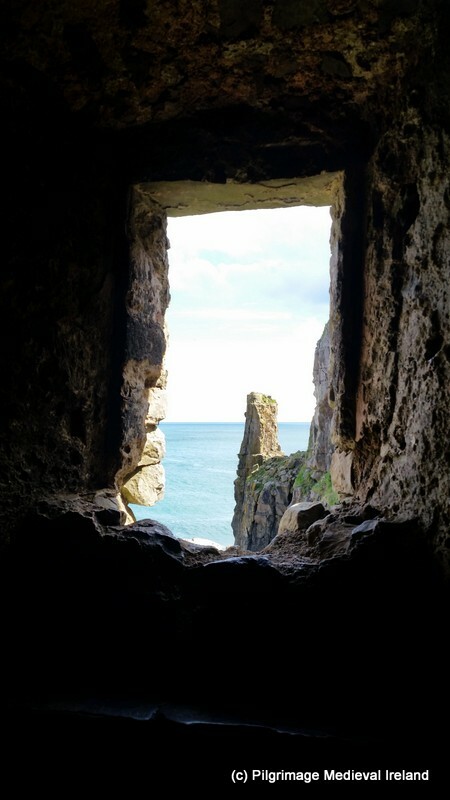 View of St Govan’s Bay from the holy well. 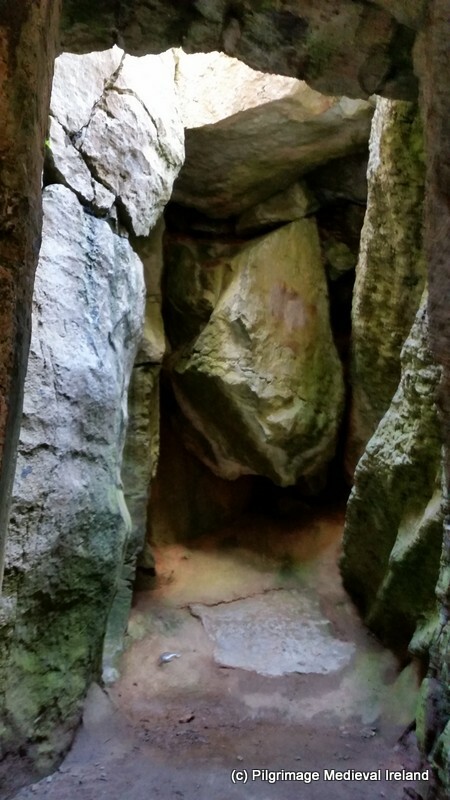 This entry was posted in Uncategorized and tagged Medieval pilgrimage Walse, St Govan's church, St Govan's holy well.